San Manuel, Arizona is on the edge of picturesque Sonoran Desert and overlooks the San Pedro River valley and panoramic Galiuro Mountains. The views are awesome–bring a camera! Just an hour or so northeast of Tucson it makes a nice getaway for a day trip, vacation or secluded retreat. Area attractions include zipline tours, a cave and San Manuel is a gateway community of The Arizona Trail for hikers, mountain bikers, and equestrians. Local attractions offer a mining & mineral museum, library and a senior center. A public airport is two miles away for personal aircraft. Also find lodging & RV spaces and places to eat. The region has various scenic & primitive roads and is a popular off-road adventure destination for dirt bikes and OHV’s. You can also book area hunting expeditions through guide services. 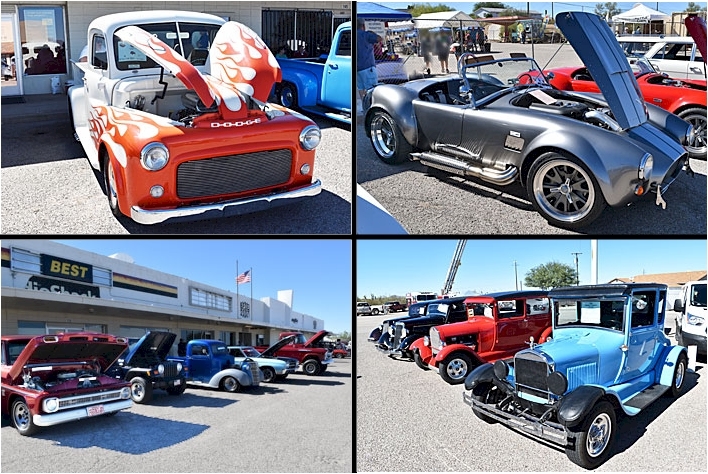 In October is the Copper Town Days car show festival with food and live entertainment. For high adventure the renown San Manuel Copper Classic off-road motorcycle race annually attracts people far and wide. Originally, San Manuel was housing for its booming copper mines to the north and in-town smelter. The community was established in 1953 and built by Del E. Webb Construction Co. and M.O.W. Homes Inc. for the mining company. It is precisely laid out with several shopping centers and an array of quaint midcentury-modern homes. Today, San Manuel makes a nice family, retirement, snowbird and commuter location with affordable real estate and rentals. Bring in a business! There are commercial properties available to buy or rent.